Sustrans Cymru is a leading charity enabling people to travel by foot, bike or public transport for more of the journeys we make every day. We work with schools, communities, policy-makers, workplaces and local authorities so that people are able to choose healthier, cleaner and cheaper journeys, with better places and spaces to move through and live in. If more is needed just let me know and I’ll direct to specific projects and milestones. 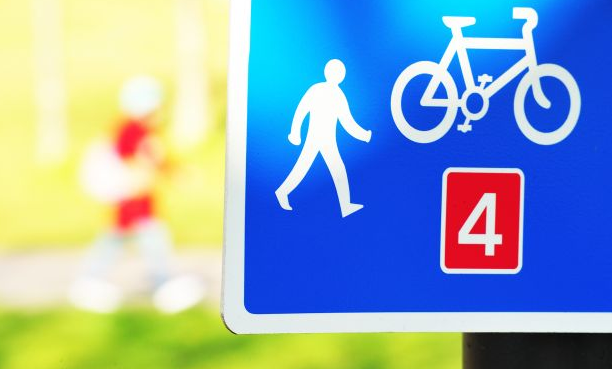 Sustrans has over 30 years' experience of developing and delivering practical, cost-effective initiatives that enable many more people to travel by foot, bike or public transport. Our vision is a world in which people choose to travel in ways that benefit their health and our environment. Our mission is to influence practice and shape policy so everyone can travel by foot, bike or public transport for more of the journeys we make every day. We’re a catalyst – we make smarter travel choices possible. We campaign – we make smarter travel choices desirable. We influence – we make smarter travel choices inevitable. Sustrans is the charity that’s enabling people to travel by foot, bike or public transport for more of the journeys we make every day. Our work makes it possible for people to choose healthier, cleaner and cheaper journeys, with better places and spaces to move through and live in. It’s time we all began making smarter travel choices. Make your move and support Sustrans today. 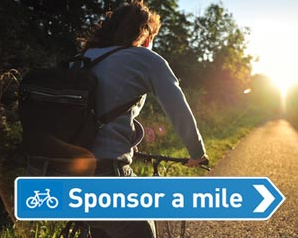 Cherished memories of family days out, car-free journeys to work in the fresh air, a beautiful place to let off some steam… whatever they are they are all great reasons to sponsor that mile you love. This is your chance to help keep our wonderful National Cycle Network going and growing.